As always, Off The Record Twickenham would like to express our very grateful thanks to the many organisations, local groups and individuals who support our services – not just financially, but with their time, donations, creativity, and commitment. A comprehensive list is included in our Annual Review. We have a diverse range of funding streams, which helps us to provide a more secure and sustainable service. Our principal funding comes from local and regional grant-making trusts and foundations, and statutory and contracted services, whose support we acknowledge below. We are also hugely indebted to the parishioners of St Mary’s Church, Twickenhamfor their enormous generosity in providing us with our Church Street premises. The Barnes Workhouse Fund is a local grant-making trust, which supports both voluntary organisations and individual applicants in its area of benefit. 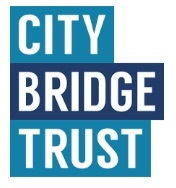 City Bridge Trust currently awards around £20m per year to charitable causes in London. The majority of these grants are made under our Bridging Divides scheme, which has three programmes: Connecting the Capital, Positive Transitions and Advice & Support. The Evening Standard Dispossessed Fund was set up in 2010 to help grassroots charities tackling poverty, inequality and exclusion across the capital. In 2017 Hampton Fuel Allotment awarded 63 community grants to the value of £928,800. This supported the work of the charitable sector in our area of benefit, providing a range of services and activities for local people in need. 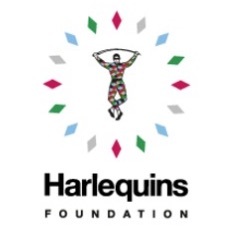 The Harlequins Foundation uses sport to empower communities to identify and implement opportunities for all, through education, entrepreneurism and skills development. Its focus is on inspirational, sustainable and transformative solutions in the fields of inequality, health, young people and the most vulnerable in society. The London Community Foundation specialises in supporting small, community-based organisations focused on helping disadvantaged London. Nexen Petroleum UK is an upstream oil and gas company responsibly developing energy resources in the UK North Sea, offshore West Africa, the United States and Western Canada. It is a fully-owned subsidiary of CNOOC. Richmond CCG is the lead health commissioning organisation for the London Borough of Richmond upon Thames. Its vision is to deliver cost-effective, sustainable integrated health services for all residents in the borough of Richmond. Richmond Parish Lands Charity distribute revenue income through grants to organisations and charities and small grants to those in extreme need. We also provide an education support programme and offer charitable housing at a number of properties to people living or working in Richmond. The parishioners and PCC of St Mary’s Church have been tremendously generous towards Off The Record. They made their premises available to us in 1991 and have been supporting us ever since.